The instax square, aka the SQ10 is our newest camera with a unique twist on a retro favourite. Our first instax with digital imaging technology, the hybrid instant camera lets you take a digital photo but print it on the spot. 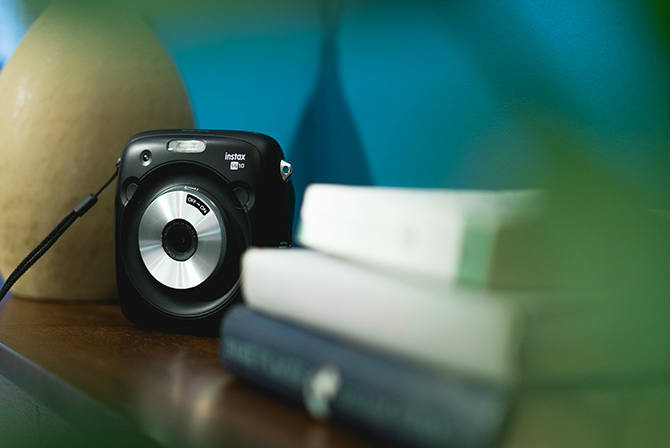 This adds a whole new creative experience, and takes instant photography to another level. We’ve gathered some tips and tricks for you to perfect your pictures with the SQ10, so check them out! Unlike other instax photos, you actually can archive the pics you take with your SQ10! Just insert a microSD card into the instax to save the images to your computer. However, keep in mind that the internal memory on the camera only holds up to 50 shots. So you’ll probably want to delete most of them from your camera after you print them out. Since they are digital images, you don’t have to print out every shot you take right after you take it. You can shoot all day without printing anything and can print later. This allows you to worry less about the technical aspect of printing out the pictures and lets you focus on your subjects and capturing the right shot. If you want your images to print out right after taking them, like you can with a regular instax, switch to Auto mode. With that setting, your picture will print out immediately after taking it. Unlike traditional instax images, you are able to edit your photos before you print them. Cropping is one of the best features you are able to utilise! You can also brighten up darker shots before you print them for a clearer, more polished look. Plus, zoom in up to 2.4x for a new perspective on a photo. What tips or tricks have you noticed in using your instax SQ10? Let us know in the comments below!